The trekking opportunities could fill an entire week. 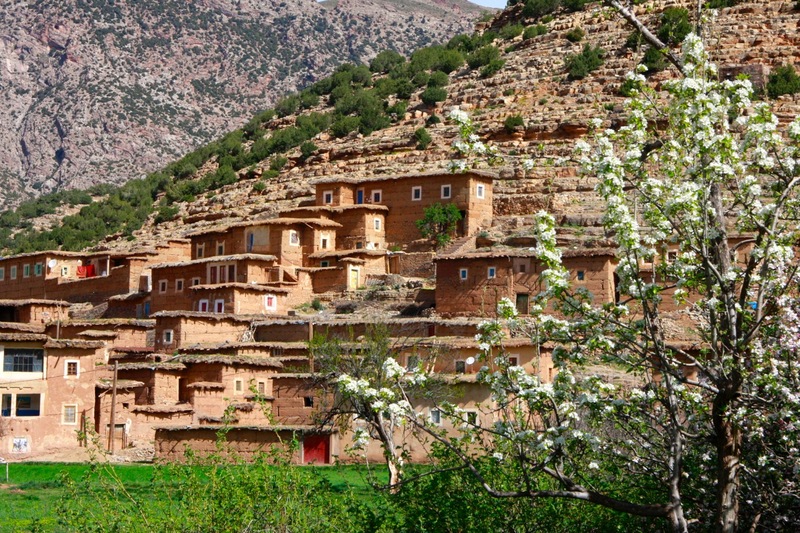 From multi-day treks to the Mgoun Massif to full- or half-day treks leaving from Touda EcoLodge, located in Ait Bougmez Valley there are no shortage of opportunities to get outdoors and experience the best of Berber life. 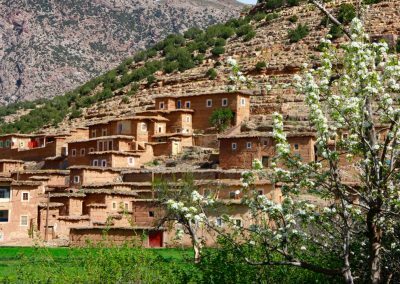 Our favourite may be a full-day hike following in the footsteps of the Ait Atta nomads to cross the mountain range, ending at Lake Izourar at the foot of Jebel (Mount) Azourki, an ancient glacial valley. During the summer months, the valley is filled with herdsmen grazing their flocks. In winter months, the lake provides a beautiful backdrop for a picnic, which our staff can prepare for you. For those in need of a bit of luck, legend has it that leaving a gift for the now deceased Sidi Mosa saint will still be honoured. It’s worth a trek up for the panoramic views over the vast green valley and to learn a little bit more about the local culture. The markets here are second to none. When market day takes over in the nearby town of Tabant, travelers are transported back in time. Locals flock to the central town to stock up on supplies of all kinds – foodstuff, materials for the home and tools. In one area farriers are shoeing horses, in another locals gather together to sip mint tea and enjoy a sfenj (donut) under a tent. Further afield, a local dentist attends to patients with tooth pain in a traditional manner. When hunger hits, head to one of the local grills for tender barbequed meats and vegetables served in an unassuming atmosphere. 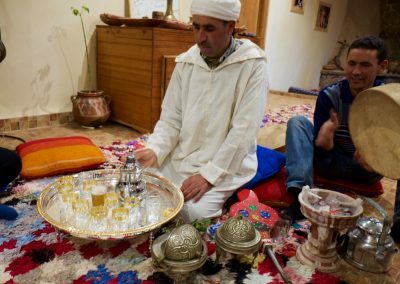 Said Marghadi, owner of Touda EcoLodge says that, “There are mountains everywhere, but the cross-cultural exchanges possible here in the valley are unique” and at his eco-friendly guesthouse overlooking the vast valley, local staff shares their culture through music, food and dance. A wander through the valley and guests often report on exchanges with friendly locals who invite them to stop for tea, children who are keen to say hello, and peak in to the local culture. 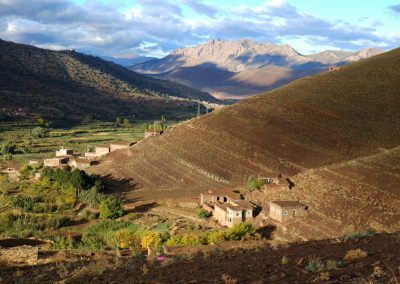 Tucked away amongst the high ridges of the Central Atlas of Morocco, the stunningly beautiful Ait Bougmez Valley has managed to preserve a traditional way of life that closely follows the seasons and is based on agriculture and the herding of livestock. Meander down in to the valley along dirt roads that passing through villages and architectural gems including mud-brick kasbahs, some of which are now abandoned. Stroll along the terraced plots where locals work the land by hand. Stop for a moment of reflection under a fruit tree. Just don’t be surprised if a local stops to say hello, or invites you to join a tea break in the field. One of those experiences that money just cannot buy! 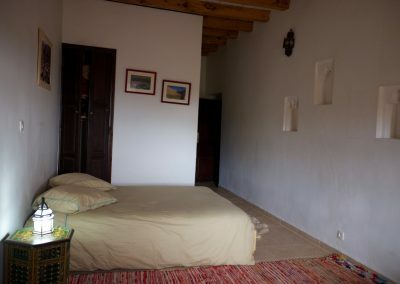 Perched 50 metres about the valley and with eight rooms (four twin, two double and two family rooms), the guesthouse can accommodate up to 18 guests. The house was built in a traditional style, but one where authenticity meets modernity. 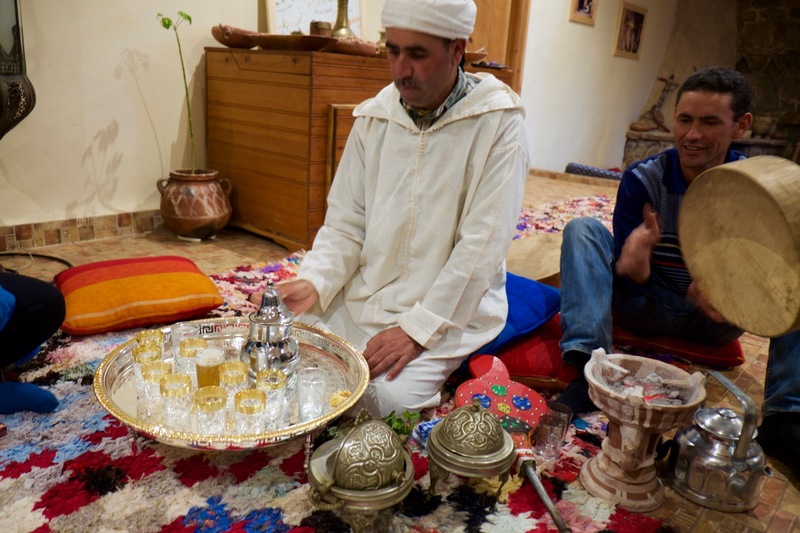 Common spaces invite travellers to gather to share tales and local staff shares their culture through music, food and dance. Meanwhile natural light floods the salon through the arcades giving on to the terrace overlooking the valley. Mint tea flows freely and it’s not uncommon to see guests rolling up their sleeves and learning a thing or two from the dada in the kitchen that opens on to the dining room. It’s just the way of life here at Touda. We aim to provide an authentic experience for the seasoned traveler. 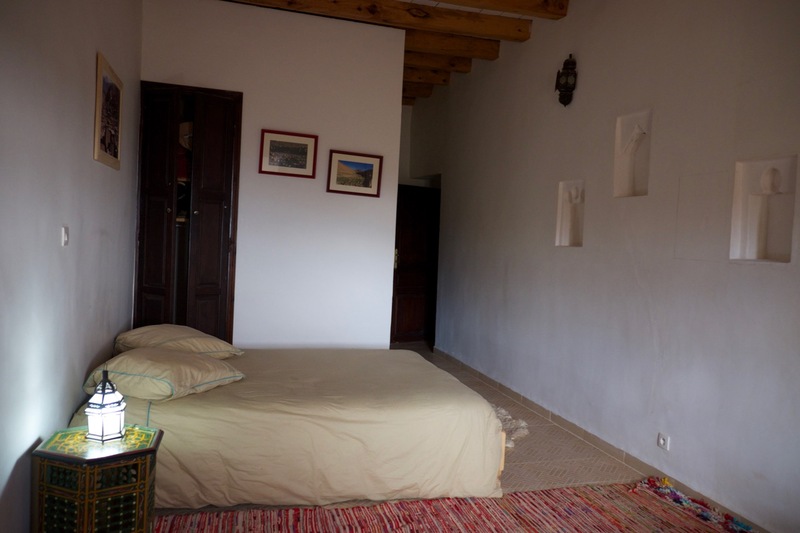 As a travel agent, we invite you to discover Touda EcoLodge and the Ait Bougmez Valley to determine if our friendly guesthouse may indeed be the right fit for your guests. Contact us to arrange a visit or we would be happy to arrange a phone call to discuss working together.